The relationship that the two neighboring countries like India and Nepal enjoy is unique and unparalleled in the world. The treaty of friendship signed by the two countries in 1950 is a testimony to the same. This allows citizens of either nation to cross over to the other nation without any diplomatic formalities. The progeny of the Himalayan nation, the Gorkha, has been acting as sentinel of India since centuries. 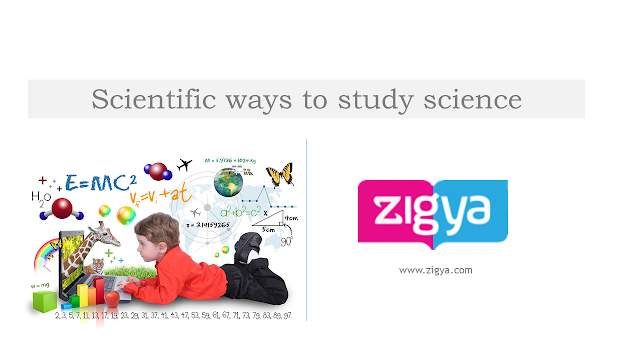 The name has been trailed from the Medieval Hindu Warrior Saint Guru Gorakhnath. The name Gorkha has originated from the Hill town of Gorkha from which the Nepalese kingdom expanded. 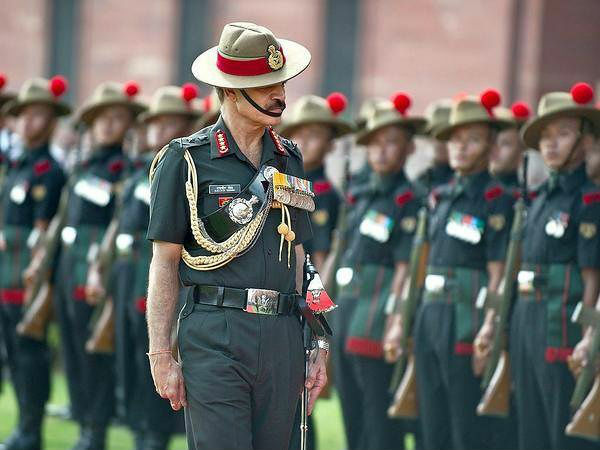 The Indian Army sustains seven Gorkha regiments composed entirely of Gorkhas, who are recruited majorly from Nepal and it’s the most revered regiment of the Army. Post independence, India successfully retained regiments 1, 3, 4, 5, 8, and 9 GR whereas 2, 6, 7, and 10th GR joined the Brigade of Gorkhas in the British Army. 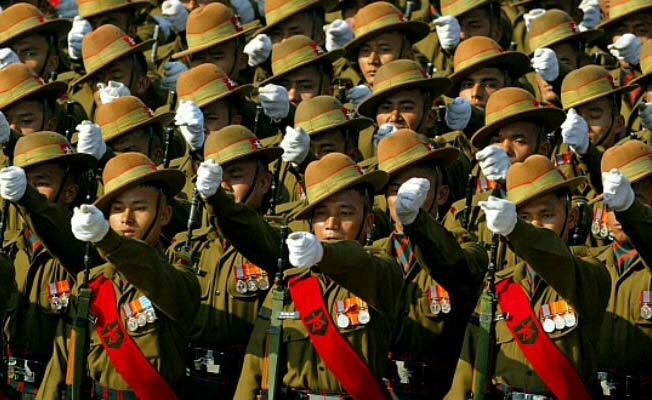 were referred as the Nasiri Regiment; later it got christened as 1st King George’s Own Gorkha Rifles. The Regimental insignia of the entire Gorkha Rifles consists of a pair of crossed Khukris, which is their signature weapon and symbol of gallantry. Their resounding war cry ‘Joi Maa Kali Aayo Gorkha’ had been reverberating in the battlefield since centuries. This literally translates into “Hail Goddess Kali, the Gorkhas are here”. 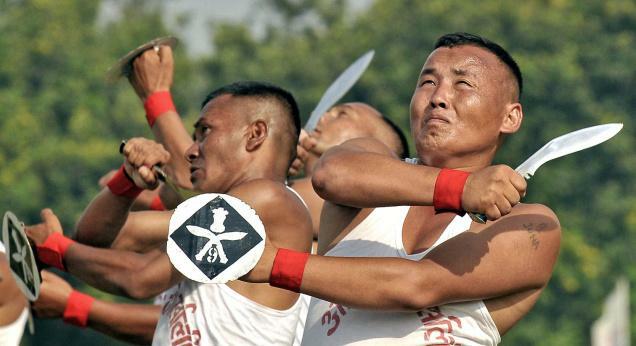 The Gorkhas are the one of the most dreaded soldiers in the world. As the former Field Marshal Manekshaw had exclaimed “if a man says he is not afraid of dying he is either lying or is a Gorkha”. The display of valour flaunted by Gorkhas during the 1962 Operations was exemplary, especially at Leh and Namka Chu. Again, during the 1965 War, the Gorkhas fought concertedly with their comrades where they blew Pakistani Raiders in Kashmir, as well as in the Punjab. The rendition of the Gorkha regiments during the 1971 War, in Operation PAWAN, on UN Missions and in counter insurgency Operations in J&K and the north-east, has been superlative. Gorkhas had been decorated with 3 Param Vir Chakras; the highest gallantry award in India, 33 Mahavir Chakras, 84 Vir Chakras and 5 Ashok Chakras. The current Army Chief, General Dalbir Singh Suhag also haisl from the Gorkha Rifles.